Shop specialized in led T20, W21W, 7440, 7443 , where you can find a wide variety of led lights T20, W21W, 7440, 7443 car and bike of high quality and finish of the brands ZesfOr® and FTA®. Available various colors of leds: pure white (diamond), blue, green, and red. See our catalog of leds, T20, W21W, 7440, 7443 for your car. Choose the size that best suits your needs. 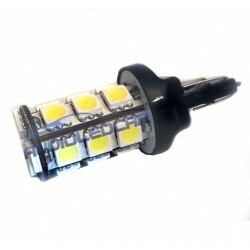 Change the look of your car or bike, by installing our led T20, W21W, 7440, 7443 high-quality. When you install led bulbs you need to take into account if our car is canbus or not. This means that if the vehicle has sensor of old bulb and put an led in the car can detect it as this cast (by eating so little) and tell us in the box of the car. 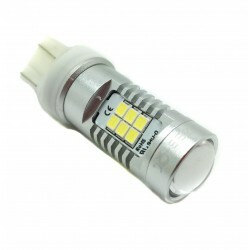 There are bulbs led T20, W21W, 7440, 7443 canbus to avoid this problem. Can I install LED lights T20, W21W, 7440, 7443 on any car or motorcycle? If, the only thing we have to know is that know is the amount of light bulbs that takes our vehicle, remove the old bulbs and put new led lights T20, W21W, 7440, 7443 brand ZesfOr®. Normally cars have several references of bulbs, look at the model of the bulbs in the manual to make sure. The places in which it is recommended to install these bulbs is in the led lights of tuition T20, W21W, 7440, 7443, indoors like shades, ceiling front, glove compartment, luggage compartment, footwell and led position lights T20, W21W, 7440, 7443. 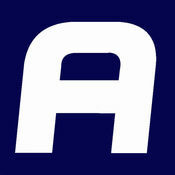 With this change, we can change the aesthetics of our car in an economic way and also to gain visibility. The first thing that we advise is to see our YouTube channel where you will find a tutorial of how to install led T20, W21W, 7440, 7443 in the car. After watching the video we have to keep in mind that before you remove any bulb we turn off the switch that turns on that light bulb but it will be very easy to make a short circuit and blow the fuse. If when you put the new led bulb T20, W21W, 7440, 7443 this is not on, we will try to give you the back because the leds have polarity. LED white light model T20 DOUBLE-POLE. 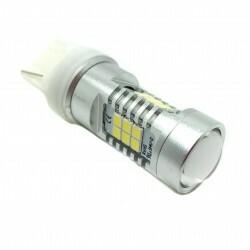 Bulb of white LED with socket t20. Ideal for use as a day light and position light. Price per unit.